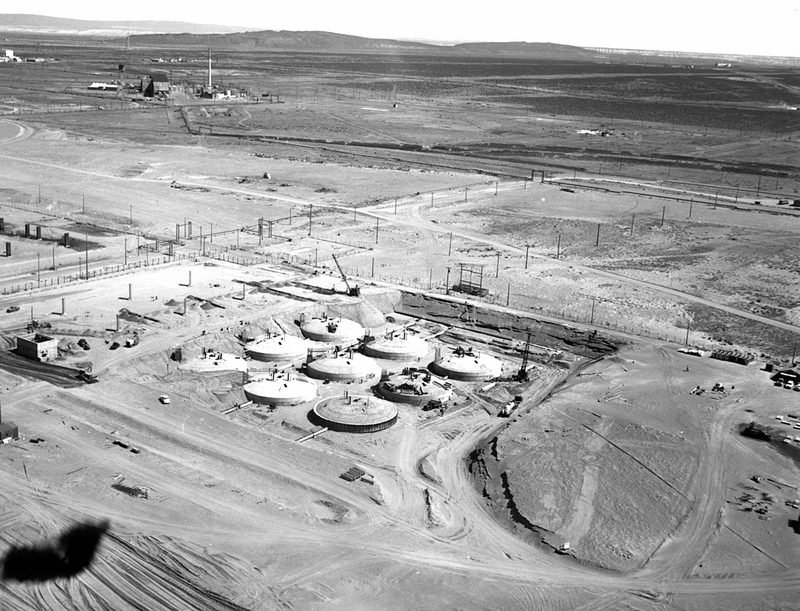 The waste in the underground tanks at the Hanford Site is complex - a dense mixture of chemical and radioactive wastes left over from the plutonium production that took place on the site from 1943 to 1987. 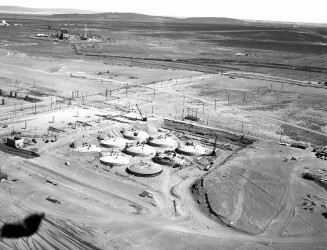 Early Hanford scientists understood that these complex wastes could be hazardous to people or the environment, so they built a series of massive underground storage tanks in the 200 Area of the Hanford Site to hold the wastes. The “tank farms” were robustly constructed using double- or single-walled carbon steel shells and reinforced concrete. At the time, the tanks were intended only as temporary holding facilities for the waste. Unfortunately, an alternate solution was not found, and many of the tanks remain in use today. Over time, a few of the tanks have cracked or eroded, and some of the radioactive waste has leaked into the ground. Visit the Department of Energy site at Hanford to learn more. The waste poses a risk to the people and environment surrounding the Hanford Site the longer it remains in the tanks, including the nearby Columbia River. That’s why the Vit Plant is so important. It is designed to take the waste from the tanks and turn it into a stable glass form suitable for long-term storage. In glass form, the tank waste is no longer a threat to the environment. Visit Vitrification 101 for more information on this process. Learn more about the Hanford Vit Plant project.